The Dodecanese islands are perhaps the most ethereally beautiful part of the Aegean. Set in a sparkling topaz-blue sea, they have a rich and intricate history stretching back millennia, and a distinctive culture. Wessex: close to our home base, and close to our hearts. 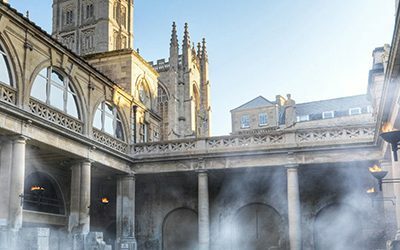 We invite you to join us and see why – in this tour of a beautiful region of England, which perfectly encapsulates the history and culture of the country. An award-winning family-run travel company, Peter Sommer Travels, offers expert-led archaeological and cultural tours for small groups. In the past four years, we have won the UK’s Tour Operator of the Year Gold award twice and the Silver award twice. Take a gulet cruise along the turquoise coast and enjoy total relaxation, beautiful food, and superb swimming – the perfect vacation. 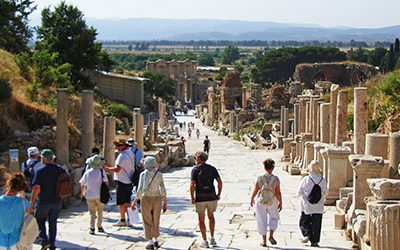 Or discover some of the finest archaeological sites in the world on our spectacular ‘Exploring’ land adventures such as In the Footsteps of Alexander the Great, Exploring Crete, Exploring Athens, Exploring Sicily, Exploring Rome, Exploring the Peloponnese or Exploring Istanbul. A team of the finest guides, archaeologists and historians, vividly bring the past to life on our escorted tours and gulet cruises. Friendly and knowledgeable, they are natural enthusiasts steeped in the history and culture of Croatia, Greece, Ireland, Italy, Turkey and the UK. Alongside our scheduled gulet cruises in Croatia, Greece, Italy and Turkey, we also create bespoke gulet cruising holidays to order. Our private charters feature the same qualities that distinguish our scheduled gulet cruises: comfortable and stylish boats, painstakingly prepared itineraries, a perfectly balanced mix of relaxation and activity and of course – delicious food, all accompanied by our expert guides and local guides. We provide a range of fully crewed boats, maintained to the highest safety standards, ranging from 4 to 12 cabins (6 to 22 guests). 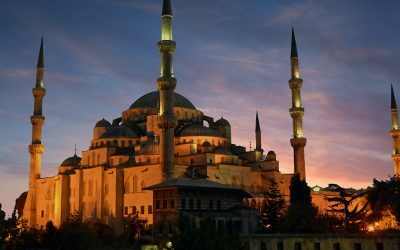 In 1994, Peter Sommer walked 2,000 miles across Turkey, retracing the route of Alexander the Great, and in the process fell in love with the country, its archaeology and the Turkish people. A British archaeologist and documentary maker led his very first archaeology tour in Turkey in 1996. 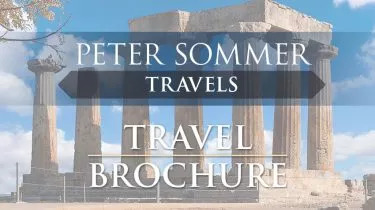 Since then, Peter and the team here at Peter Sommer Travels has been organising unique archaeological and cultural tours and gulet cruising holidays in Turkey, Greece and Italy, escorted by the finest experts. Tom Brosnahan, originator of the Lonely Planet and Frommer’s travel guides to Turkey and creator of turkeytravelplanner.com. A UK-based specialist tour operator, we offer cultural vacations and holidays – primarily gulet cruises – with a professional and above all personal touch. On our small group expert-led tours we take only small groups of like-minded people typically between 10 and 16 on our gulet tours (max 18 on our 12 cabin Cruising the Cyclades/Dodecanese trips) and between 10 and 18 on our land tours – travelling in an easy-going informal style. Our family tours are designed to be relaxing and stimulating, fascinating and fun. Like our other escorted tours they are cultural gulet cruises and led by an expert guide. 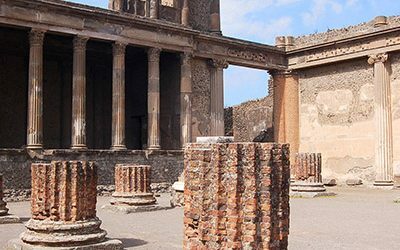 Visits to archaeological sites will take you and your children deep into the past. You’ll explore the world of the Greeks and Romans in colourful detail: from what they ate to how they built temples, from what their loos were like to how they were treated at the doctors. Find out more. Alongside our archaeological adventures, there is the gulet cruise itself aboard a beautiful traditional wooden boat (Turkish gulet – aka goulette, gulette or gullet). Our gulet cruising holidays offer plenty of opportunities for families with children to swim, kayak or snorkel in azure seas, to lie back and read as the world goes by, and to enjoy delicious home-cooked food. When we hike off into the hills, we’re almost certain to see goats, tortoises, and creepy crawlies, and while at sea there is always the chance we’ll see some dolphins! Along with the sites and itineraries, good food plays a key role in the design of our tours and cruises. For us, meals are much more than a practical necessity: they are a pleasure to be shared with our guests and moreover a central aspect in experiencing the local culture and the area’s gastronomic wealth. In that sense, each of our itineraries is a culinary exploration. On our gulet cruises, the on-board cooks freshly prepare a wonderful variety of dishes in the ship’s galley using fine local ingredients. These daily delights are complemented by shore meals in excellent and atmospheric restaurants and tavernas along the itinerary. On our land and city tours, you’ll enjoy meals at a range of carefully selected venues, usually our guides’ personal favourites, based on in-depth local knowledge. They represent the full scope of the region’s culinary achievements and specialities, ranging from authentic “home cooking” to truly gourmet food, always rooted in local tradition and based on the strengths of the area’s produce. Food is so important to us that we offer a fabulous food tour in Turkey, aboard a traditional Turkish gulet. We have also created a marvellous escorted food tour in Sicily. Our tailor-made expert-led land tours can focus on a single region or city, or we can create a bespoke itinerary for you that weaves together several different regions within one country e.g. Athens and Crete in Greece, Sicily and Rome in Italy, Split, the Islands and Zagreb in Croatia or Istanbul and Cappadocia in Turkey. 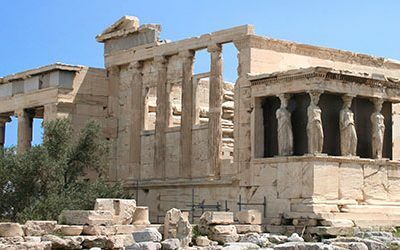 Maybe you’d like to combine the highlights of several different countries, such as a tour of the classical capitals of Europe, combining Rome with Athens and Istanbul. From family-run boutique hotels and country houses to 5 star luxury hotels, we will find the accommodation that most closely suits your needs. We pride ourselves on our flexibility and capacity to arrange all aspects of your journey so you can explore and discover with all the background logistics smoothly taken care of. We strive to offer the finest small group cultural tours. If you have any questions, please get in touch. We’ll be delighted to help. Peter Sommer Travels is a member of ABTA (The Association of British Travel Agents), The Association of Independent Tour Operators (AITO), the American Society of Travel Advisors (ASTA) and a number of other travel industry bodies. A country of fascinating archaeological sites, superb landscapes and seascapes and great hospitality: cruise through the Greek Islands on a gulet, Explore Athens or the Peloponnese, experience the wonders of Crete and follow in the footsteps of Alexander the Great from the heart of his Macedonian kingdom. 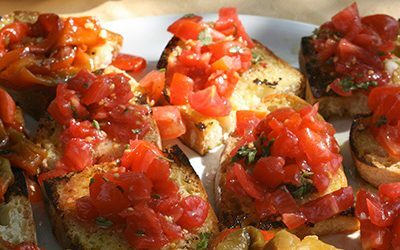 Tremendous cultural riches, breath-taking beauty, vibrant lifestyle and world-famous cuisine: Discover Italy! Experience a gulet cruise on the Amalfi Coast, a city tour of Rome, an exploration of the whole island of Sicily, a food tour or learn Italian while enjoying the art and cuisine of Sicily in ancient Syracuse. A grandiose Adriatic Coast and countless islands; an immensely varied cultural heritage, beautiful medieval harbour towns, splendid ancient monuments, great wines and superb cuisine, mixing elements from the Mediterranean and the Balkans, West and East. 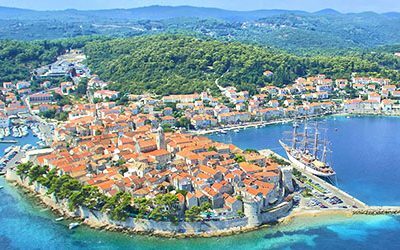 Discover Croatia on one of our cruises! Experience a fascinating country, straddling two continents and home to many cultures from prehistory to present. We offer 1 and 2-week expert-led gulet cruises on the turquoise coast, food tours, family tours, walking holidays and cultural vacations exploring Istanbul, Cappadocia, Ephesus and much more. 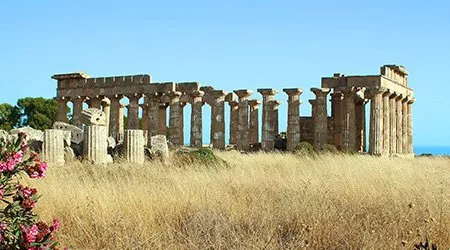 A fascinating island: prehistoric mysteries, Roman traces, a warlike medieval past, and the splendours of more recent ages, all set in a country of contrasts, from verdant rolling hills to rugged mountains. Come and see the best of Britain with Peter Sommer Travels. 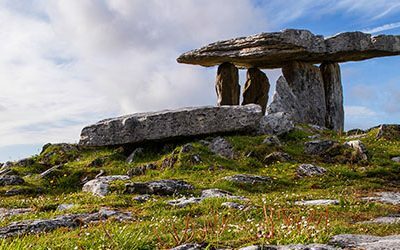 Embedded within the beauties of the “Emerald Isle”, Neolithic tombs, Celtic forts, Early Christian monasteries, lovely villages and much more await you. Experience Ireland, its landscape, history, traditions and hospitality, on a very special tour through time. 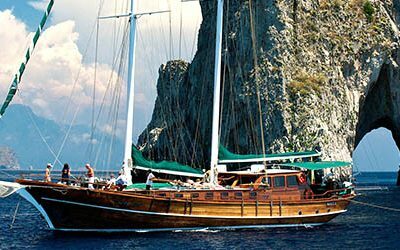 Take a gulet holiday in Italy, Greece, Croatia or Turkey. 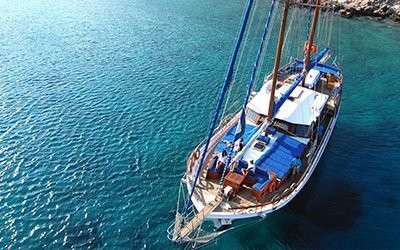 Gulet cruises offer relaxation, beautiful food and superb swimming. We’ve added expert guides, archaeological adventures, wonderful walking and culinary forays to make them truly cultural experiences! Our family tours are designed to be relaxing and stimulating, fascinating and fun. 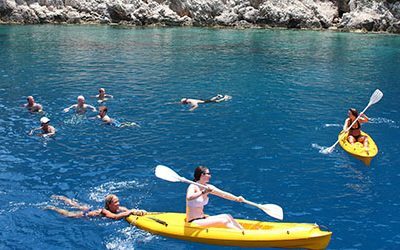 Led by an expert guide, you’ll explore the world of the Greeks and Romans in colourful detail and have the opportunity to relax on a beautiful gulet, swim, snorkel and kayak. 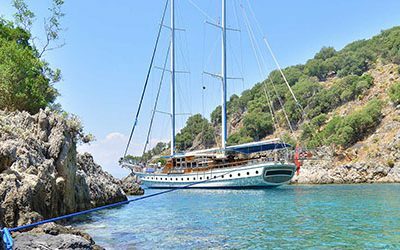 Take your family and friends on a fully-crewed gulet charter along the coast of Italy, Greece, Croatia or Turkey or explore some of the finest regions and classical cities in the Mediterranean on a tailor-made private land tour. Bespoke land tours, designed to showcase the best of a region’s or city's archaeology, culture and gastronomy, based on our experts' in-depth knowledge and experience. Profound explorations of landscapes and cityscapes, of past and present. The perfect tours to understand a place and its spirit. Gourmet delights and traditional cuisine, local ingredients and authentic recipes, fine wines and delicate specialities. Approaching a region, its history and its people through their produce and preparations – a uniquely enjoyable way to explore, offering cultural insight and culinary pleasure alike. Our walking tours are a more active kind of travel. Experience the natural beauty and human heritage of historical regions on foot. From coastal footpaths to goat tracks up in the hills and from age-old cemeteries to monumental ruined cities, these tours provide stimulation and relaxation for mind, body and soul. The Peter Sommer Travels Blog offers a rich array of stories, news and thoughts to do with the areas we travel and with archaeology, history and culture in general. News on recent discoveries, reading suggestions, the occasional recipe and much more, accompanied by fine images from our travels. Watch a selection of videos about our gulet cruises. If you’ve not yet been on one of our cultural gulet trips, sit back, relax, and prepare to have your appetite whetted. 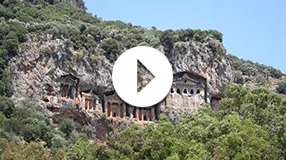 We hope these travel videos give you a real sense of our gulet holidays, whether you would like to come on one of our scheduled tours or have a bespoke private charter created for you.